N. S. Granites Pvt. 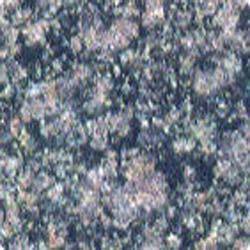 Ltd.
Owing to our rich industry experience and our expertise, we are offering Forest Green Granite of an excellent quality and range to our clients. It has fantastic appearance, charming color combinations and intricate patterns which would impress you at mere first sight only. It is widely used in sculption of statues and development of handicraft items. Our range is customized according to choice of our clients. We, NS Granites Pvt. Ltd. are a granite specialist company that came into existence in 1995 at Jaipur in Rajasthan, India. N. S. Granites Pvt. Ltd. is the private limited company that is engaged in manufacturing and supplying of Granite Stone, Designer Floor Granite, Marble Stone and many more products. Our products are the most preferable in the competitive market due to their excellent finishing, high reliability, superior quality, elegant designs and many other features. By using creative ideas of our professionals we ensure to provide very best designs to the homes and offices of our consumers. The journey of our company has been very memorable and exciting as we have established ourselves as a renowned company in the competitive market. As we are the new company in the market, so it is very difficult for us to stay for long time and make leading position in the market. Instead of this, we are successful in creating a trustworthy image in the mind of our customers as well as market. Also, we have been successfully achieving all our target objectives easily and perfectly by completely utilizing the available resources of our company.